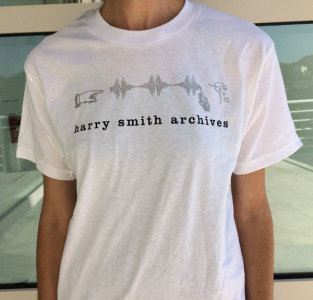 The official Harry Smith Archives T-shirt featuring original designs made by Smith. Available in Medium, Large, Extra Large and Youth Medium. Please indicate preferred size in order.